We are a small innovative business with customers satisfaction in mind. We are your "go-to" company for all things Fence. We do both sides of the business, servicing old fences and also constructing new ones. In both cases we will work for you, to create the reality of your project that you have imagined, we can't wait to hear your ideas. Poc Studio is a design & fabrication studio specializing in highly crafted architectural & landscape architectural elements. 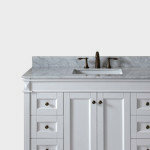 Our team is committed in offering a crafted/personalized experience. UnCorked Iron Works produces wrought iron, hand-made products crafted of superior quality, design and workmanship. 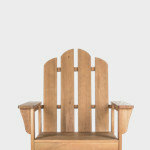 From gates and fences, to chairs and more, if you dream it... we can build it! 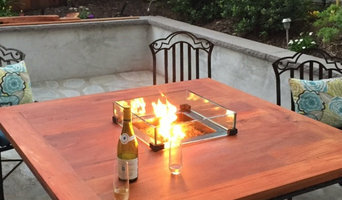 We specialize in creating stunning "fire tables" that bring a unique ambiance to backyard patios, helping homeowners create memories that last a lifetime. We Specialize in custom built metal projects for Aerospace, Restaurant Facilities, and Furniture for your home. Victor Gonzalez started his career with wrought iron at the age of 11 in the year 1965. Victor eventually opened a small welding shop that has since evolved into an established operation that specializes in high-end custom wrought iron design. At Artistic Wrought Iron, anything you have seen or imagined possible in wrought iron can be custom made. Forging begins with 100% input from our customers. Onsite fabrication, careful handcrafting, smooth finish sanding and then brushing to the desired finish completes the process. Interior staircase railings, hand rails, iron balcony railings, spiral staircases, planters, gates, fencing, driveway gates, wine cellars, walk gates, etc. 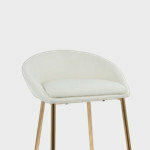 are all items that can be designed and made to reflect your personal style. It would be our pleasure to meet with you, your contractor, designer and or architect to ensure complete satisfaction with the finished product. We craft ornamental iron in San Diego, as well as many other quality products made from iron, steel, and metal. Best of all we service the entire San Diego Bay Area and all of San Diego County. It all started off as a Dream for our family to be capable of having our own family project but within time it became a family business. Our goal was to achieve and establish a business that could secure jobs for future generations and also give back to our community by efflorescing their homes with beautiful and elegant touches with our iron work. Growing up in San Diego I was extremely fortunate. There was always a lot to do and to see. I knew as a young little kid that I did not want to live just a conventional life. I wanted to carve my own path and build something of my own. I was blessed to be born into a family of builders and successful men. My grandfather was a skilled plumber who later became a general contractor. As well as having my dad and uncles being involved in the building trades as contractors. I always enjoyed and respected art, as well as creativity and craftsmanship. Growing up I had the opportunity to work for my dad, a general contractor, who builds custom spec homes. I had the opportunity to take part in the building start to finish of a number of homes and larger commercial projects as well. From watching him, and the subcontractors who worked for him I developed a deep appreciation and passion for learning to do accurate high quality work. To take the initiative to better my self and do the highest quality job to my abilities. I take great pride in my work and genuinely enjoy what I do. I have had the opportunity to work for a number of great shops with some really highly skilled people. This has given me the experience and confidence to take on many different projects and challenges. We offer a variety of Custom Iron works including custom decorative wrought iron, custom balconies, custom railings, and any other iron related projects. B.A. Ramirez & Sons Ornamental Iron Works, Inc. specializes in custom designing and crafting iron fences, pedestrian gates, automatic driveway gates, staircase railings, handrails, guardrails, window guards, doors, and enclosures. 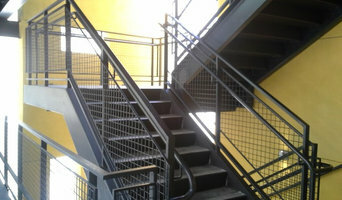 Our ironwork services have been provided to thousands of residential and commercial clients throughout San Diego County and earned us a reputation for honesty, excellent workmanship, and cost-effective rates. Call us today. We are licensed, bonded, and insured. 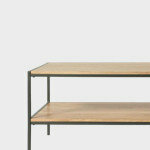 Tusker Metals is a small metals supermarket for builders & creators to purchase semi-finished steel & aluminum products. We also build custom fabrications for customers such as fences, gates, trailers, arbors and other ornamental projects. specialist in structural steel, work 232 innershield 7018 stick we make all type of iron work interior and exterior, traditional or architectural designs 10 years of experience. Without ironworkers and their structural know-how, many of the great buildings of the world would never have come to be. 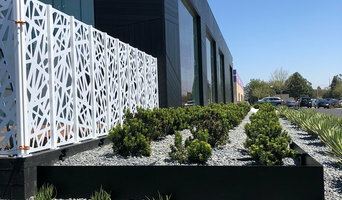 But most San Diego homeowners are more likely to hire an ornamental or architectural ironworker, who crafts metal pieces that are visible on the exterior. From window frames to grates and balconies, from screens and fences to hardware, these pros shape iron into forms that are as decorative as they are functional. An ornamental ironworker fabricates bulk iron into the types of structures that a particular home calls for, then installs them onsite. Some of these pieces are mass produced, others custom crafted. Many ornamental ironworkers also have the design skills to fashion unique decorative components. 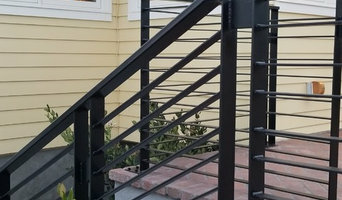 Ironworkers must be trained in safety to create elements such as railings and balconies that both satisfy a home’s aesthetic needs and meet San Diego, CA building codes. Here are some related professionals and vendors to complement the work of ironwork: Fencing & Gate Sales & Construction, Decks, Patios & Outdoor Enclosures, Siding & Exteriors. Find an ironworker on Houzz. 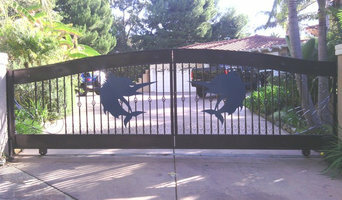 Narrow your search in the Professionals section of the website to San Diego, CA ironwork. You can also look through San Diego, CA photos to find examples of ironwork that you like, then contact the ironworker who fabricated them.